As a mom, healthy living is always a goal in our family. We are always looking for new ways to live healthier, happier lives. Finding a simple, yet effective way the entire family could benefit from to help our bodies, minds and overall well-being. I am not new to natural health, although I have not really practiced it up until recently with my family, my mother used to always use tinctures, detoxes and other different herbal remedies to help what ailed her when I was younger. Learning more and more about it, now I think it will be something positive for my own family to benefit from. 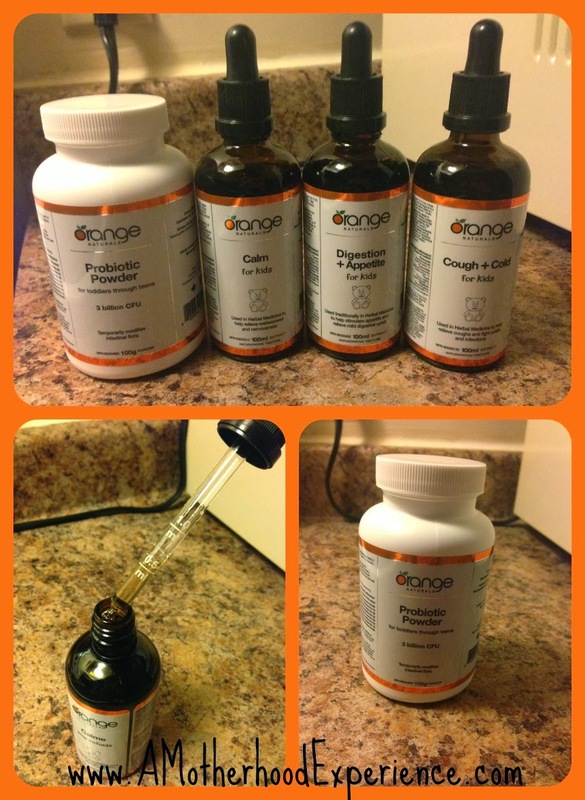 We have recently embarked on a new journey with Orange Naturals! For the next six months my family and I will be including Orange Naturals in our everyday and sharing our stories with all of you! Naturopathic Doctors, Adriana Restagno and Cecilia Ho developed Orange Naturals because they wanted to make it simpler and more affordable for families everywhere to experience the powerful health benefits of naturopathic medicine. Orange Naturals offer high-quality natural supplements for every age and stage through naturopathic products like nutrient dense shakes (ND Shakes) and tinctures. Orange Naturals sent over a generous kit to start off our journey to better health which included ND shakes in both flavours for women, men and kids as well as Calming, Cough & Cold and Digestive Tinctures for kids and Probiotic Powder for toddlers through teens. 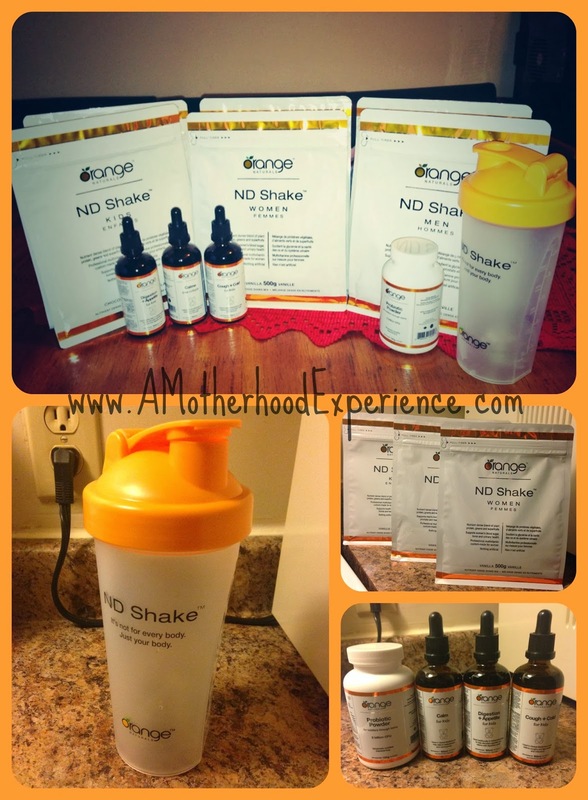 Also included in our package was a nifty Orange Naturals shaker to help us make our yummy shakes! ND Shakes: It's not for every body. Just your body. ND Shakes make it easy for everyone in my family to get their multivitamins, greens and fruits in one complete shake that is created for the age-stage of their lives. ND Shakes are a vegan blend of easy to digest protein, greens and superfruits plus a customized multivitamin specific to everyone's health needs. ND Shakes are available for women, men, teens and kids - in yummy chocolate and vanilla flavours. Very simple to make, you only need one cup of your favourite drink and some fruit if you want to give it a nice extra flavour. I enjoyed my first ND Shake plain Jane with milk to see what it was like, not bad but it was even better the second time as a chocolate-banana shake. Made with a little milk, ice, cut up bananas and of course two scoops of ND Shake. The ND Shake powder comes in a handy, resealable bag and comes with the scoop to measure what you need. The powder blended well using my handy new Orange Naturals shaker and made for a nice yummy shake. I can see ND Shakes becoming a thing of our every day mornings, something good to add to our morning smoothies. 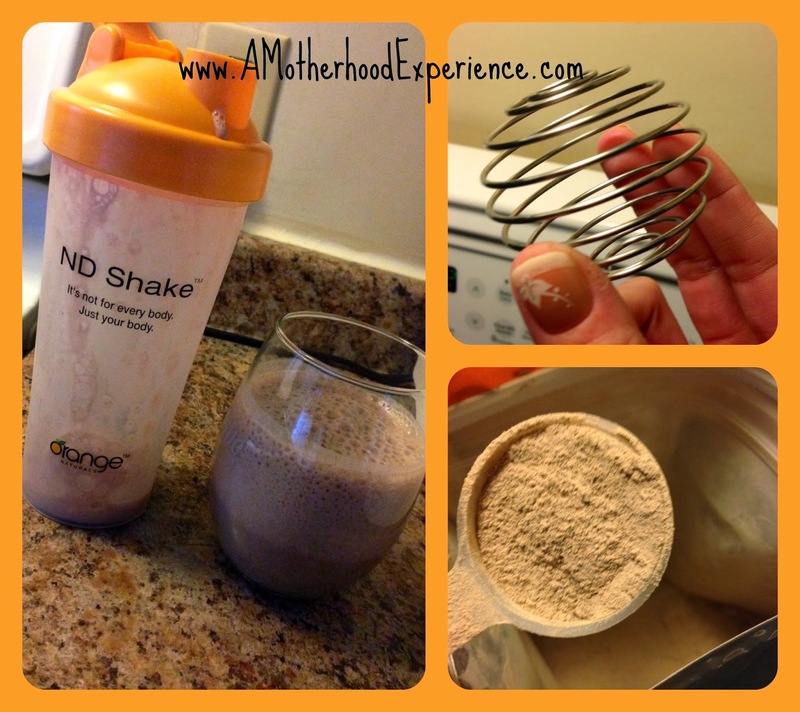 ND Shake mix can be used in other things besides smoothies and shakes that I need to try like baking into protein bars or making hot chocolate for the kids! Cough+Colds for kids is the first one I noticed, something we really need around this time of year when germs are ablaze at school. Combining the power of echinacea, thyme, licorice and chamomile this tincture is gentle for children to help fight off infections such as cough and cold. Thyme is a great antibacterial herb licorice can help clear congestion and chamomile is known to calm. Calm for kids helps restlessness, irritability and upset tummy's with a calming and soothing combination tincture. It contains chamomile and Linden which have been used for the longest time to help calm minds and relieve upset stomachs. Strong enough for adults to use but gentle enough for children to take. Calm promotes a relaxing sedative state with no harmful effects because like all Orange Naturals products, it's natural. Digestive+Appetite for kids helps little ones sooth troubled tummy's or help with lack of appetite. Fussy eaters can be encouraged to eat and tummy spasms, bloating and gas can be eased and burping settled. Caraway Seed, Chamomile and Peppermint are the herbs that make up this great combination tincture. I'm also interested in learning more about the Probiotics for toddlers to teens as our journey continues with Orange Naturals, #NaturallyAtHome! You can learn more about Orange Naturals too! Are you new to the world of natural health like we were? If you find it hard to understand or just want to learn more the Orange Naturals website makes it easy to finally bring natural health remedies into your home. You can also check out the Naturally At Home blog which is tailored to helping moms bring natural health into our homes! The blogs are written by two naturopathic doctors, a homeopath and a nutritionist - and yes, they have a mom's perspective! Also, don't forget to like the Orange Naturals facebook page. If you tweet follow @OrangeNaturals and join us on our journey using hashtag #NaturallyAtHome! Disclosure: I am part of the Orange Naturals Mom Ambassador Program and I received special perks as part of my affiliation with this group. The opinions on this blog are my own. Hmmm! I really like the sounds of this system - thank you for sharing! Your right Banana is the prefect pair for a ND Shake!